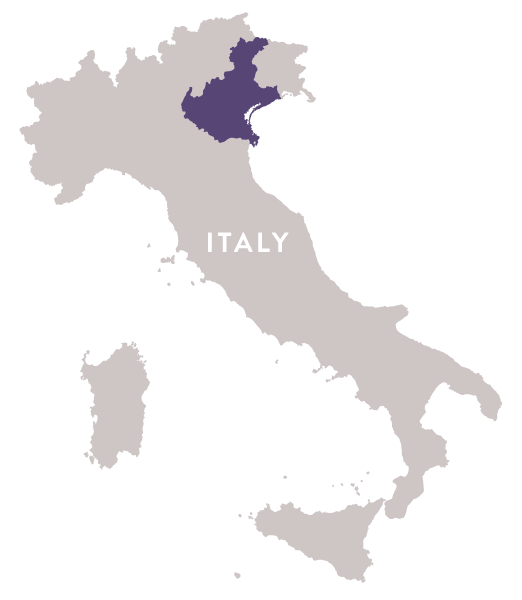 Bosco Viticoltori Associati is located in Salgareda, within the Marca Trevigiana borders, in between the Adriatic sea and Eastern Alps, a land with a historical tradition of wine production. In this area, environmental conditions and industrious people have generated a wine growth and production tradition which is recognized all over the world. Since 1948, Bosco Viticoltori Associati has produced prestigious and sophisticated sparkling wines (“spumanti”). With its consolidated know-how and modern structures, Bosco produces a range of wines with a fruity, intense bouquet, with a vivacious, harmonious and smooth taste, which are emblematic characteristics, typical of this territory. The delicate operations of harvest and selection, followed by pressing and temperature thermic control fermentation, take place while respecting the grapes nature and its complexity. The entire process, though using the modern oenology competences and the most advanced technologies, is always aware and respectful of the production naturalness. This way aroma, color, structure and flavor are guaranteed, for a premium quality wine.